K.C. Barner, J.D., was elected to the Board of Directors in November 2015 and currently serves as Vice Chairman of the Board in addition to serving as the chair of the governance and nominating committee. He received his law degree from Wake Forest University and holds a bachelor’s in government from the University of Texas at Austin. K.C. is an experienced insurance attorney. 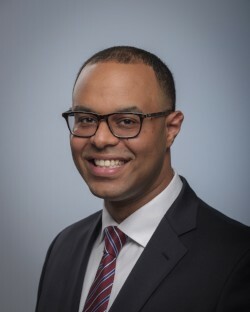 He is currently an Assistant Vice President and Counsel of NFP Benefits Compliance, where he advises employers and brokers on employee benefits compliance issues. K.C. spent several years in private practice where he provided legal advice related to insurance company formations, admissions, product filings, and mergers and acquisitions to clients ranging from small start-up companies to multinational financial service providers. Additionally, he practiced corporate and contract law with a strong focus on legal services related to life and health as well as property and casualty insurance regulatory matters. K.C. has handled various multistate research projects on insurance, compliance and corporate governance issues. He is a member of the State Bar of Texas, the American Bar Association and the Austin Bar Association. In his spare time, K.C. enjoys volunteering, running half marathons and spending quality time with his children.